Provide comfort for the family of Mr. Kenneth "Ken" Blake with a meaningful gesture of sympathy. Kenneth (Ken) Blake, age 66 years of Thunder Bay, ON passed away at home, Wednesday, December 26, 2018. He was born in Fort William, Ontario on December 12, 1952 to George and Jean Blake. Ken graduated from Selkirk High School and attended Seneca and George Brown College in Toronto, ON. Ken retired from Bowater in 2008 after many years of working hard and making friends within the mill. Ken grew up in Thunder Bay, ON. He had a big personality and wanted to experience everything that life had to offer. Marrying his love Bets (Elizabeth) in 1975 they started their family in 1979. While life was difficult he worked hard to build a good life for his family. He was a strong, passionate, kind hearted husband, father and friend. He was always willing to help others whether they were family, friends or strangers. Ken enjoyed sports, music, cooking and the outdoors. He spent his days transforming the backyard into a gorgeous landscape of trees and flowers for our mom. He loved his family deeply and found great joy in spending time with his granddaughter Taylor. While we know he has found peace in being reunited with our mother in heaven; Words cannot express how much he will be missed. He was our rock. Ken will be sadly missed and forever loved by his daughters Amanda, Tamara and Heather; granddaughter Taylor; mother Jean; siblings Mary Lou, Judy, Nancy, Kelley, Raymond, Alan, Pat and Tom; nieces and nephews and life-long friends who were like family. He was predeceased by his beloved wife Elizabeth (2013); father George and brother Robert. Funeral Services for the late Ken Blake will be held on Friday, January 4, 2019 at 10:00AM in St. Paul’s United Church, 349 Waverley Street with the Rev. Rob Smith officiating. Visitation for family and friends will be held from 3:00pm until 5:00pm on Wednesday, January 2, 2019in the EVEREST FUNERAL CHAPEL, 299 Waverley Street at Algoma. 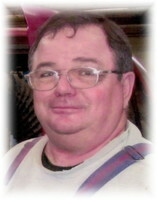 If friends so desire, donations in memory of Ken may be made to the M.S. Society of Canada. To plant a memorial tree in honor of Mr. Kenneth "Ken" Patrick Blake, please visit our Heartfelt Sympathies Store. We encourage you to share your most beloved memories of Mr. Kenneth "Ken" here, so that the family and other loved ones can always see it. You can upload cherished photographs, or share your favorite stories, and can even comment on those shared by others. Plant a Tree in Memory of Mr. Kenneth "Ken"